Arthritic conditions are becoming far more common as the population ages and chronic diseases increase in prevalence. In fact it is estimated that over 3 million Australians are affected by arthritis. At present, there are over 150 types of recognised arthritic conditions associated with different causes and symptoms. The most common types of arthritis such as Rheumatoid arthritis are driven by autoimmune processes, or by age and use-related wear-and-tear on joints, eg. Osteoarthritis. One thing all types of arthritis have in common however, is inflammation. Chronic inflammatory processes drive joint tissue destruction and are a major cause of arthritic pain. Click Here to purchase the Emed Arthritic Profile. C-Reactive Protein – CRP is a measure of the level of inflammation in the body. It is often used to help evaluate and monitor acute and chronic inflammatory conditions. Used in conjunction with the other inflammatory markers in the Arthritic Profile, CRP levels will help to direct your Practitioner to the most appropriate supplements and treatment plan for you. Please note, some medications may affect CRP levels, so speak to your healthcare practitioner about further recommendations prior to testing. Erythrocyte Sedimentation Rate – Erythrocyte sedimentation rate (ESR) is another measure used to asses non-specific inflammation in the body. ESR refers to the rate at which red blood cells fall to the bottom of a tube over time, and an increased sedimentation rate is indicative of higher inflammation levels. ESR rises and falls more slowly that CRP, so it is more likely to be associated with chronic inflammatory states and may take longer to be affected by treatment. Rheumatoid Factor – Rheumatoid factor (RF) is a type of autoantibody, a class of proteins that become elevated in states of acute and chronic inflammation. Antibodies are naturally formed in the body in response to threats to the immune system, such as bacteria or viruses. However autoantibodies such as RF attack one’s own proteins rather than foreign protein. Rheumatoid factor is closely linked with Rheumatoid arthritis, and is often used as part of a diagnostic blood screening for Rheumatoid arthritis as well as to monitor the level of inflammation associated with rheumatoid arthritis over time. 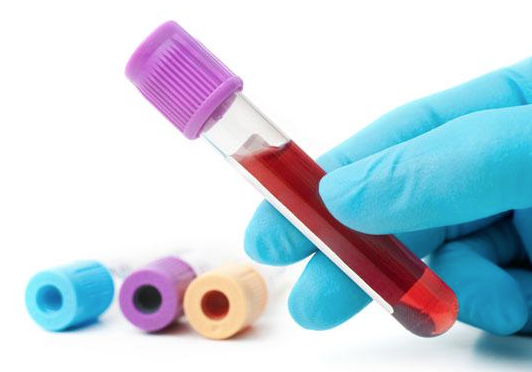 Full Blood Evaluation – Full Blood Evaluations (FBE) provide important information about an individual’s general state of health by measuring the type and quantity of cells in the blood, including white blood cells, red blood cells and platelets. Abnormalities in any of these types of cells can indicate the presence of certain health conditions, including anaemia, infection, inflammation and more. This test can also be used to monitor health and treatment progress. The Qualified Emed team is happy to answer any questions you may have regarding the Arthritic Profile, and will send you your test referral directly.